Welcome to Don Mollete’s web page. 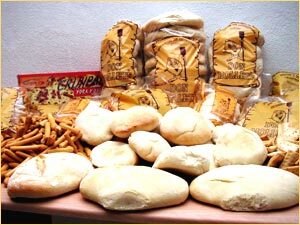 Under the name of Don Mollete, Manuel Curiel and Remedios Tortosa manage a cottage industry producing 100.000 genuine molletes of Antequera a week, being distributed in almost every Andalusian province. In this web site you will get more informed about the products as well as about this company which produces so typical product of Antequera. If you want to, you can contact us for more information or in order to make your purchase.